If you do editing then you probably know that it’s more about merging more than one short clips to make the finest one. Those short clips can be driven from any videos or source. If you are into editing for funny videos then you can look for sites like “funny or die” or if you want tech videos you will go to sites like Techcrunch. But if you need all in one place then youtube is the perfect place for it. You will get tons of categorized old to Latest videos. From youtube you can download funny videos, music videos, logic, technology and all sort of videos that you look for using a particular site for a particular category video. So, if we look overall at the platform wise then YouTube definitely wins, and why not youtube is the number one video search engine on the web at this current time and probably it will be in future as well. Because it allows creators to fill its video database by uploading new trend videos to old popular videos. It getting bigger and bigger every day. This is good to be in touch with such big video platform for editors so there will be no shortage of videos for them. Some videos might attract you, not the full video but the specific part of it. To get that part of the video from youtube, you need to trim youtube video and download it for use in editing or to share on other platforms. Clipconverter is an advanced free online tool for video converting media files such as MP3, M4A, 3GP, AVI, MOV and few others. It gives you the option to directly access the video from a URL to edit and download, and we are gonna take advantage of it. Open the ClipConverter from this link. Paste the youtube video URL here into the box and Press continue. It will process the URL and show you the video with different quality options and sizes, such as 3GP, 360p, 480p. Now select the conversion format as MP4, 3GP, AVI, MOV or MKV. Now under the conversion option uncheck the options os Start of video and End of Video, it will give you two boxes to fill the video duration that you wanna trim. After putting the right duration click start. It will process the trimmed part and give you the converted/trimmed video to download. 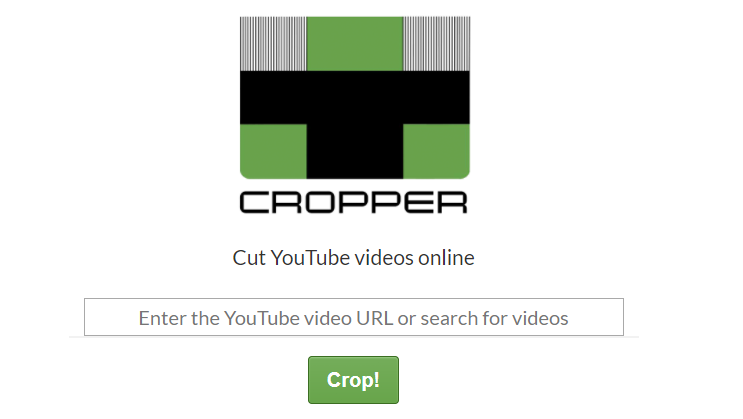 Open ytCropper using this link in your browser. 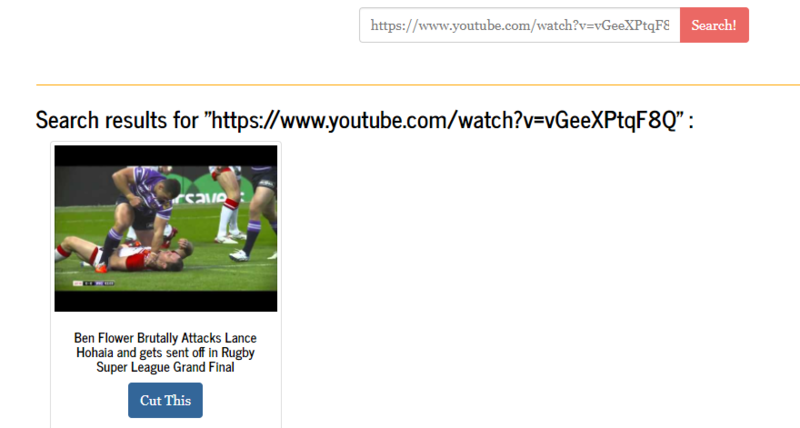 Copy the video URL from youtube and paste that on the URL box on the page where it asks and click on Crop. On the next screen, you will see the video with cropping option. Use them by adjusting the bars given on video or set the video time you wanted to be trimmed. Verify the below captcha and click on Crop. Now cropped video will be published on the site and you can share the url of that cropped video page. YoutubeCutter is an excellent tool which is exclusively used to cut youtube videos and download right after that. Here are simple steps you can follow to use YouTubeCutter. Open YouTubeCutter From this link. Copy the URL or the youtube video you wanted to trim, you can copy the Share URL from video option or simply copy the watch URL from browser URL box. Hit the search button right after pasting the video URL into the URL box, it will come up with that video on Youtubecutter, press the Cut This button along with the video. On the Next screen, you get two bars, one will be at the start and the other one on the last of the video screen. Adjust them to the particular length of video you wanted to trim, it will show you the duration you have trimmed already on the left-hand side of the video screen. 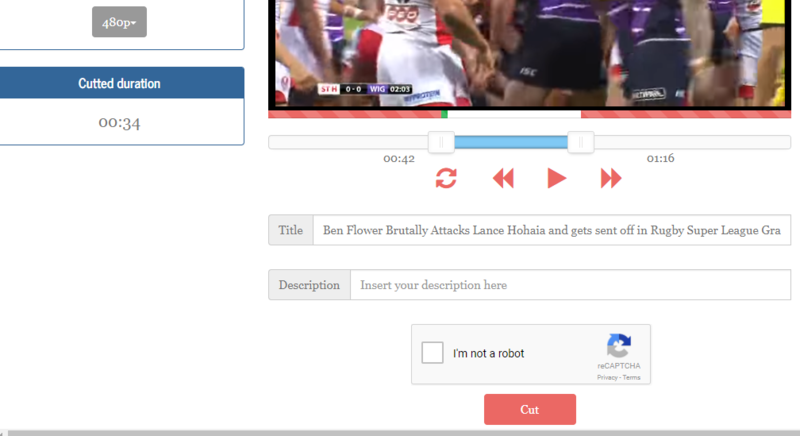 After done trimming the video, go down below the video, set the description for that video and verify the Captcha. Press the Cut button. On next screen, the trimmed video will be published and you can share the trimmed video page url anywhere on the web. If you want to download the video from there then simply add IDM to your browser by which you can download the videos that you can stream.